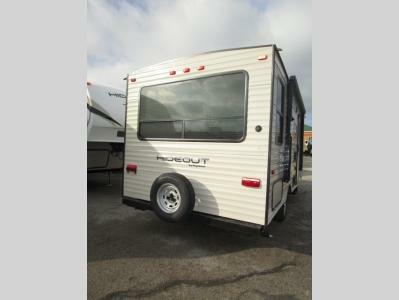 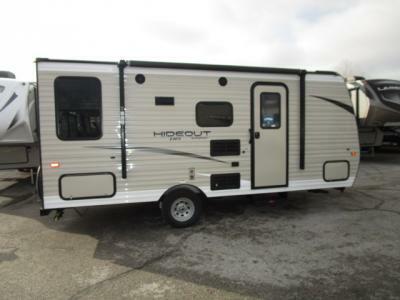 For a comfortable vacation that you and your family are sure to love, take this Hideout Single Axle travel trailer on your next outdoor excursion. 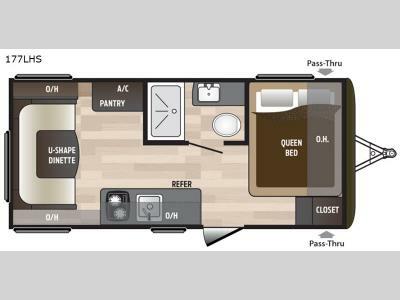 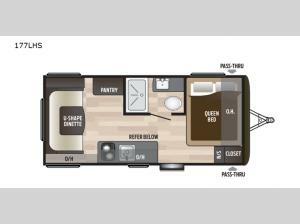 Whether you're resting for the night on the queen-size bed or you're enjoying time together with the family on the U-shaped dinette, you will be able to feel the comfort in every aspect of this trailer. 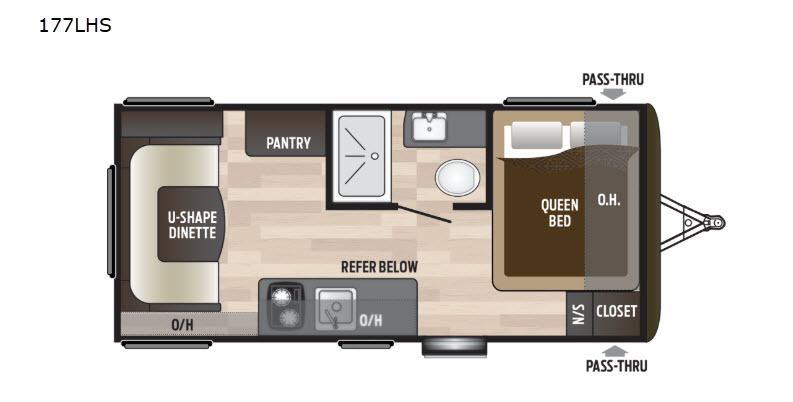 As you prepare dinner for everyone on the two-burner range top, you will love the fact that all of your spices are right there with you in the large pantry.